“The fundamental justification for combined reporting is a robust corporate tax that can’t be gamed by aggressive corporate tax planning and that creates a level playing field between big multi-state corporations and smaller, local corporations,” said Representative Tanzi. A study by the Department of Revenue presented to the General Assembly in March showed that multi-state companies would have paid more in corporate taxes if combined reporting were in place. “This study provides evidence that Rhode Island has been losing vital corporate income tax revenue because we have left the door open for companies to aggressively use tax avoidance strategies. 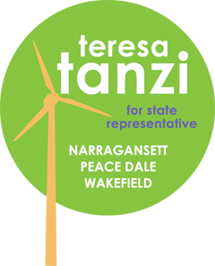 Once again, I have introduced legislation that would mandate combined reporting in Rhode Island and help level the playing field between large, multi-state corporations and smaller, local companies,” said Representative Tanzi. Combined reporting is required in the District of Columbia and 23 states, including Massachusetts, New York, Maine, Vermont and New Hampshire. A majority of states that collect corporation business taxes now require combined reporting to appropriately capture taxes owed in state. Representative Tanzi said that the adoption of combined reporting is not an effort to raise taxes on big businesses because the corporate tax is supposed to apply to all businesses. Instead, it’s closing a loophole, and leveling the playing field for businesses of all sizes. “At a time when we are trying to shed our reputation as a difficult state for businesses, we ought to stop big businesses from unfairly exploiting the system to evade the taxes that our local businesses are paying. Combined reporting is fair to all businesses and it would help the state collect the money it’s owed,” said Representative Tanzi. The legislation was introduced Feb. 27, and is cosponsored by Rep. Larry Valencia (D-Dist. 39, Richmond, Hopkinton, Exeter), Rep. Christopher R. Blazejewski (D-Dist. 2, Providence), Rep. Frank Ferri (D-Dist. 22, Warwick) and Rep. Jeremiah T. O’Grady (D-Dist. 46, Lincoln, Pawtucket).